In a new Target Gallery exhibition, 14 artists experiment with alternative applications of traditional photographic images through a variety of work in wood, glass, fabric, and other media. The bulk of the work included in this exhibition does not consist of traditional prints. The photographs becomes the source material these artists use to create a physical object or a narrative space in an image for the viewer to explore. Image Credit: Tasha Lewis, Venus. 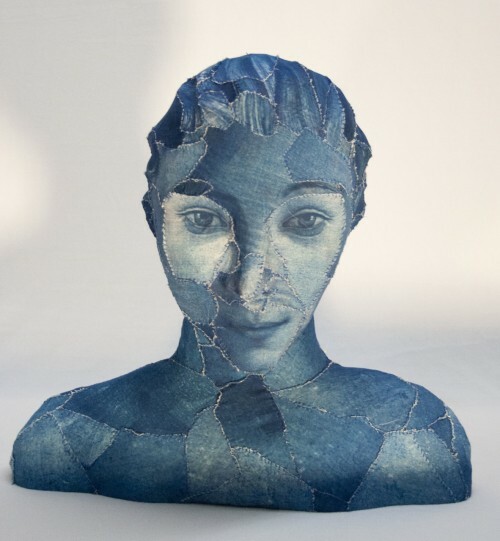 Mixed media paper sculpture covered in hand-sewn cyanotypes on fabric. 19″ x 20” x 11″.